Mumbai ToursSightseeing tours and tourist trips in the Mumbai city. TOP 10 Must See & DoArticles on the Top 10 must see attractions and activates in Mumbai, including the best and most famous tourist places, best buildings, best parks, famous beaches, fun things for children and tourist destinations. Shahrukh Khan with his family, at his home, Mannat. 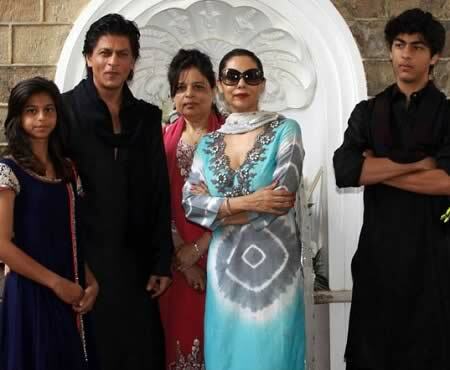 In the photo are Shahrukh Khan’s daughter, Suhana, his sister, Shehnaz, his son, Aryan and wife, Gauri. Please visit this article for more pictures of Shahrukh Khan and his family and house.